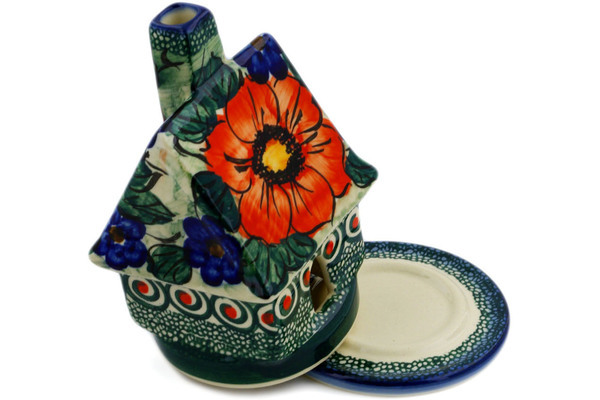 Dimensions: 3.5" x 3.4" x 5.5"
This Polish Pottery house shaped candle holder (item number H0920E) is made by Cer-Raf factory in Boleslawiec, Poland. It is 5.5" high and measures 3.4" by 3.5". The weight of this house shaped candle holder is 0.8 lbs. The price of this house shaped candle holder is $49.00 and if your total is over $99 you will get FREE SHIPPING. 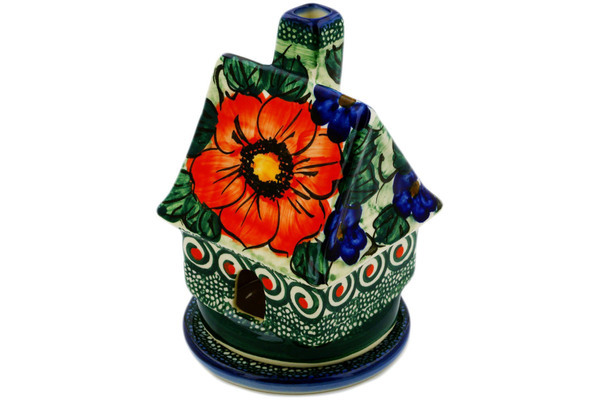 This is Polish Pottery Unikat (Signature) house shaped candle holder, which means that it has been hand painted with both sponges and brushes and it is signed by the artist who painted it. Unikat pieces are the most involving works of art. Larger Unikat items take a few hours of very careful work to finish. 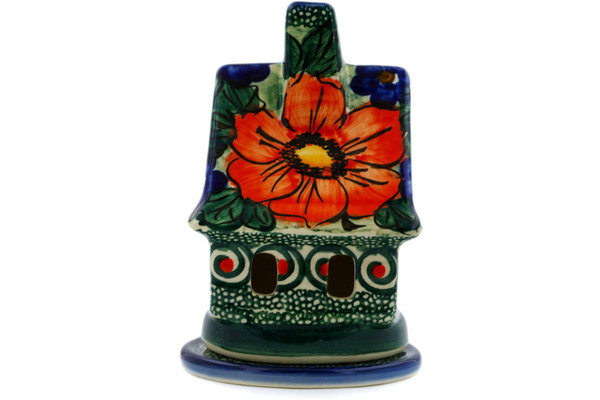 This particular Polish Pottery house shaped candle holder is currently sold out from our Texas warehouse. It can be special ordered from Boleslawiec if you don't mind waiting 4-6 months for it. Why does it take so long? Typically, if we order it this month, manufacturer will have it ready for us by the end of next month, and it takes 2 months for the goods to travel by wheels and sea from Boleslawiec to Texas. That is roughly 4 months total if everything goes smooth. Sometimes it will take longer than 4 months if the manufacturer is very busy, but it should never take longer than 6 months. If you like this style you might also want to check this house shaped candle holder in other patterns. 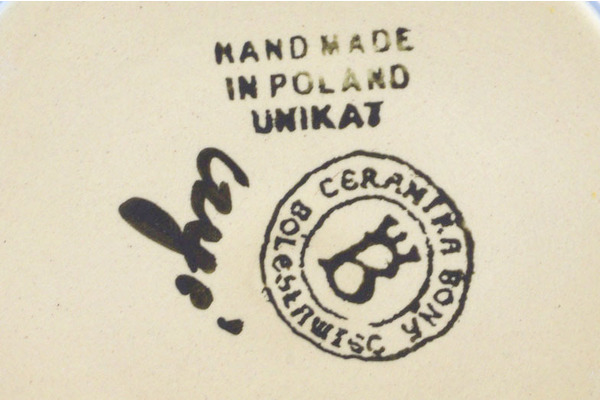 You can also check for other items in this pattern, or browse all Polish Pottery House Shaped Candle Holders. A: Yes Items can be special ordered by calling customer support.